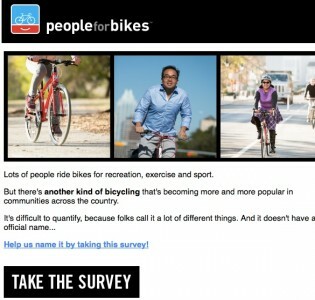 National bike org reaches petition milestone: Now what? 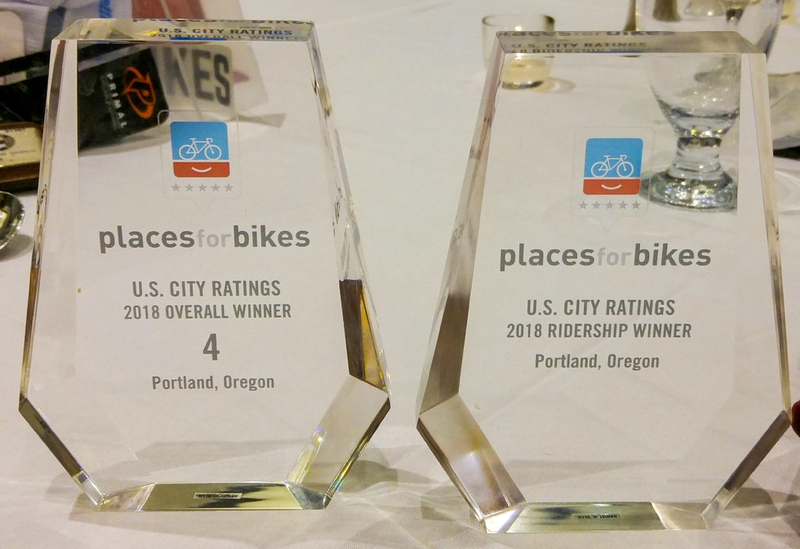 Nearly three and a half years ago, we broke the news about an ambitious campaign by a national advocacy organization to get 1,000,000 Americans to pledge support for cycling. 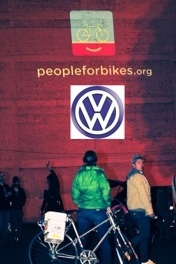 Today that organization, People for Bikes (formerly known as Bikes Belong), announced they’ve reached that milestone. A series of posters has been launched and they’ll soon be appearing on billboards and other locations nationwide. 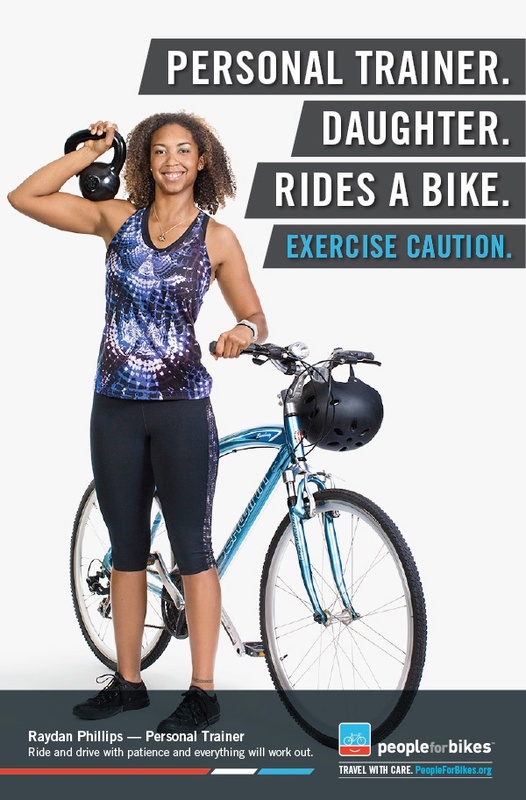 The campaign was modeled on the “Drive With Care” campaign launched (via a successful crowd-funding effort) by the non-profit Bike Pittsburgh this past spring. National org wants to know: What should we call this thing we do everyday? People for Bikes, a national advocacy group funded by the bicycle industry, wants to change cycling in America by coming up with a new name for it. Specifically, the group wants help figuring out what to call everyday cycling in order to differentiate it from recreation and fitness riding. 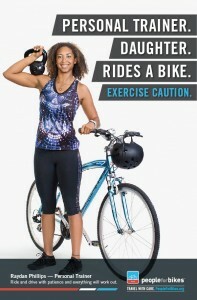 Imagine you’re rolling out on your bike right from your garage—no spandex involved, you’re wearing normal, everyday clothes. Bikes Belong just announced that Volkswagen will donate “significant funding” to support their ongoing People For Bikes campaign and other programs the organizations funds like like the Safe Routes to School National Partnership. Photo from filming of the video in Los Angeles. 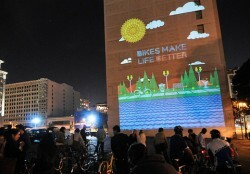 The short video, filmed in Los Angeles, uses projection technology to visually illustrate the impact bicycling has on cities. As riders — a woman on a Dutch bike, a profession commuter on a single-speed, and a group of BMX’ers — roll through the streets, birds, trees and waterfalls appear on structures around them. 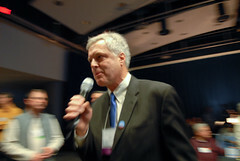 Bikes Belong executive director Tim Blumenthal. At tonight’s opening reception of the National Bike Summit, national non-profit group Bikes Belong will announce the People for Bikes campaign. 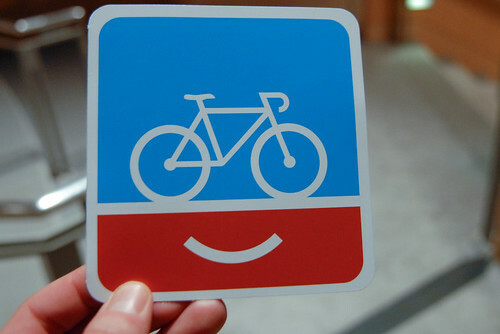 “Millions of Americans ride bicycles and recognize the economic, social and physical benefits. 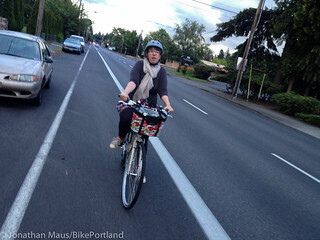 But, only a fraction of those who ride have stood up to help advance the cause of bicycling in America. 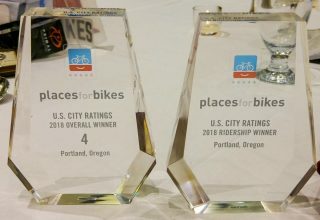 The goal of peopleforbikes.org is to gather a million names of support, to speak with one powerful voice — to let policy makers, the media and the public know that bicycling is important and should be promoted.